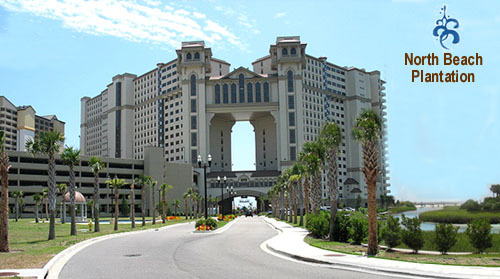 North Beach Plantation Towers are in the newest luxury mixed-housing development in the Grand Strand area, located just a few blocks from Barefoot Landing at the tip of the Windy Hill Beach section of North Myrtle Beach. The elaborate and impressive North Beach development has 337 condos in two high-rise towers and some single family homes, similar to villas. Future plans include building a shopping area and other attractions at the site. It was built right at the end of the condo boom in 2007. Troubles soon arose, and only about a third of the contracted buyers were able to go through with their purchases. Since then, prices of the units have dropped, and recently sales have begun to pick up there again. 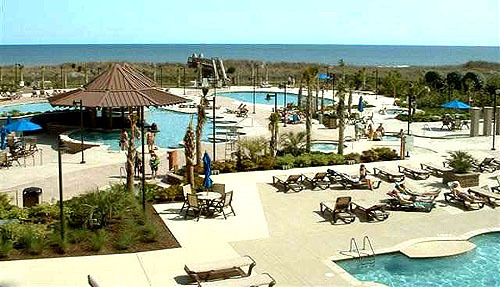 Truly, North Beach is one of the most beautiful condo complexes in North Myrtle Beach, and when mortgages become easier, sales will definitely improve. Certainly a luxury property, the North Beach Towers condo prices are presently ranging from near $350K up to $1.25 million for a 5 bedroom residential unit. In August of 2010, about 150 condos have been sold. North Beach also has single family homes available. 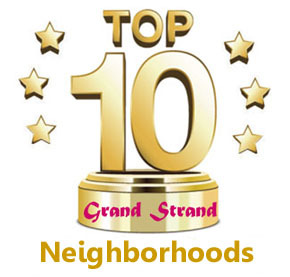 See our page for North Beach Plantation Homes, or visit our North Myrtle Beach Real Estate site for the most up to date information on this fabulous community. If you are looking for NEW construction in Myrtle Beach, you definitely need to investigate a home or condo in North Beach Plantation. The future looks very good for this complex, and it could certainly be a good investment in the years to come.